This Fall it's all about the earth tone colors (marsala, oak buff, desert sage...see all of the fall colors here). 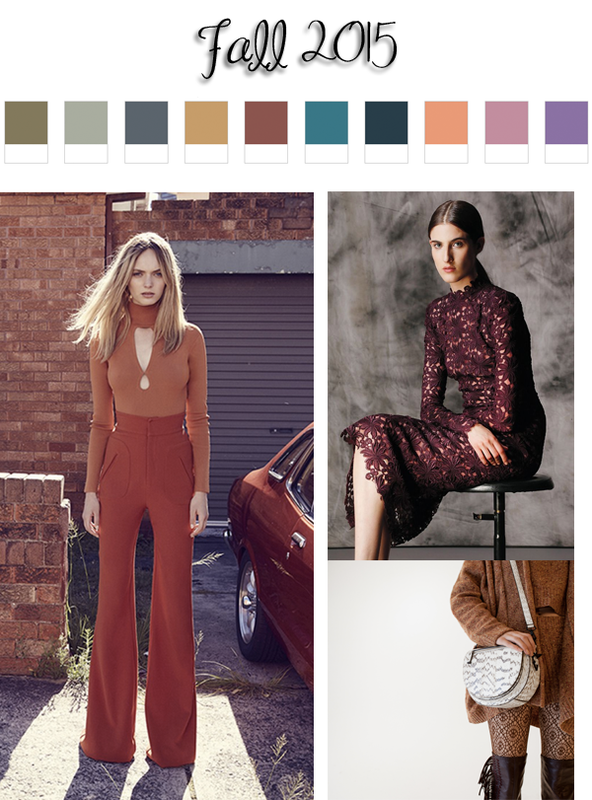 It seems that every fall piece I have been eyeing is either in marsala or in oak buff and in a 70s style; pinafore dresses, wide leg pants, wide brim hats...etc. Because I'm not one to wait for anything...I love to start to transition into the new season. With Summer to Fall you need to be careful of picking pieces that aren't heavy, like suede, leather, and chunky knits. These pieces to me look silly when it's 80 degrees out. Luckily, lace is still around for the fall and it's perfect piece to play around with for the summer and fall, like this lace dress from Zara. I recently picked up these pants from Badgley Mischka Sample Sale. The best part about these pants besides them easily falling into trend again, is that they were $25! Want to know why they were $25? Because the tag was ripped! As soon as I tried them on I knew they were coming home with me. They fit to perfectly to pass up...for $25! These pants are going to be so much fun for me to play around with. I can see me dressing them up with a crop top or dressing them down this fall with a graphic sweater. 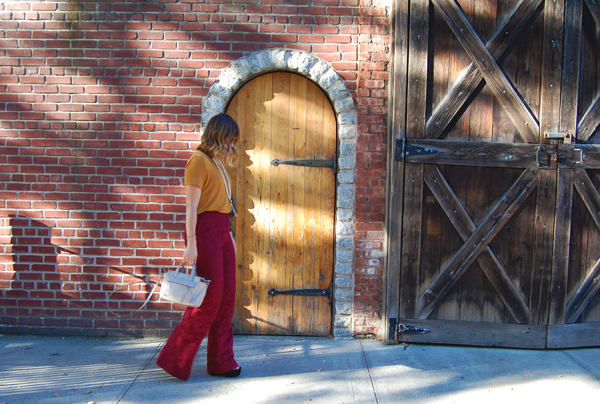 Plus, these pants just get me in the mood for fall. Are you guys ready for the fall? PS would anyone be interested in a sample sale tutorial? like how to shop/survive a sample sale? Great inspo! I love your hair so much! Keep styling more! YAS! I'm so ready to start my fall shopping. Great colors and love those pants. Great find at $25!